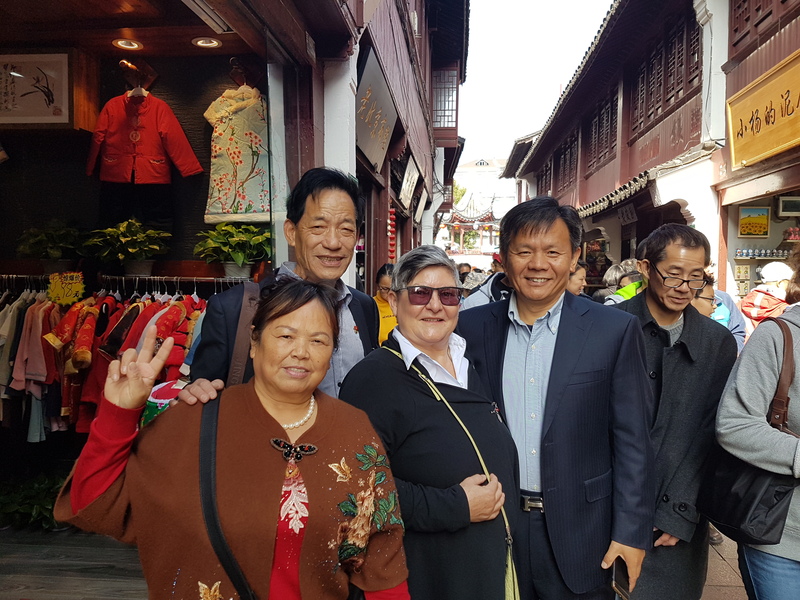 If you’ve read any books by Pearl Buck or Han Suyin – my two favorite authors writing about China – you have imagined what old village life was like in China, but you can also experience it for yourself. especially often, the hutongs on Beijing. Usually my history and culture tonic is 2 or 3 river towns per trip, but in 2018, I almost over-dosed! My travels took me to ten different ancient towns, and I found myself drawing comparisons. Some have fresh flowing rivers, some no rivers at all. Some are mazes of canals with arching bridges and gondola-like boats, some open up to lakes, parks, and public spaces. All have countless souvenir shops, but some have authentic crafts and artisans selling genuinely useful memorabilia. Most have delicious street food and sumptuous restaurants, all have specialties that either delight or repulse the Western stomach. Many have small hotels and local inns throughout the village, some have massive Western-style hotel complexes on the edges. Some have carefully designed promotion campaigns and a lot of tourists, some still offer a chance to go back in time. Some are bounded by massive walls and gates, some just appeared as old districts that haven’t been destroyed. Some are best enjoyed with a guide’s insight, some are easy to ramble mindlessly. All are great for walking, all were highly photogenic, all are memorable for different reasons. At the end of this mega-blog, I describe my system for finding and enjoying these enchanting places. Here’s my rating of memorable features. Each has a link to its own expanded photoblog. The Lonely Planet lists Pingyao among China’s Top 30 for good reason. It was a very prosperous banking center in the Ming Dynasty, and it has not changed over time because it became a back-water town when the banking industry moved to the larger cities on the coast. 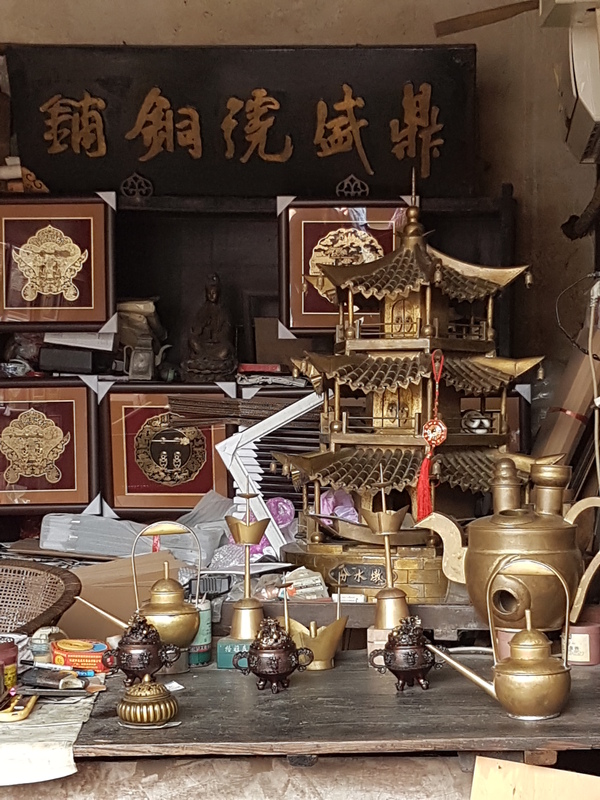 I spent 5 days wandering Pingyao and the surrounding area – made really easy by a wonderful guide, the grid-like layout of the city streets, the absence of cars inside the city walls, and the slow pace of a small city lost in time. I found it to be Three Exceptional Attractions in One. The world knows of Xi’an because of the Terracotta Warriors, but it is so much more. It is an ancient town that has evolved into a mega-city while retaining the charm of architecture and traditions from the past. After the small walled city of Ancient Pingyao, this seemed just a large walled city and I found it fascinating to compare Xi’an Inside and Outside the Wall. It wouldn’t be on most people’s list of ancient towns, but the wall is 680 years old! 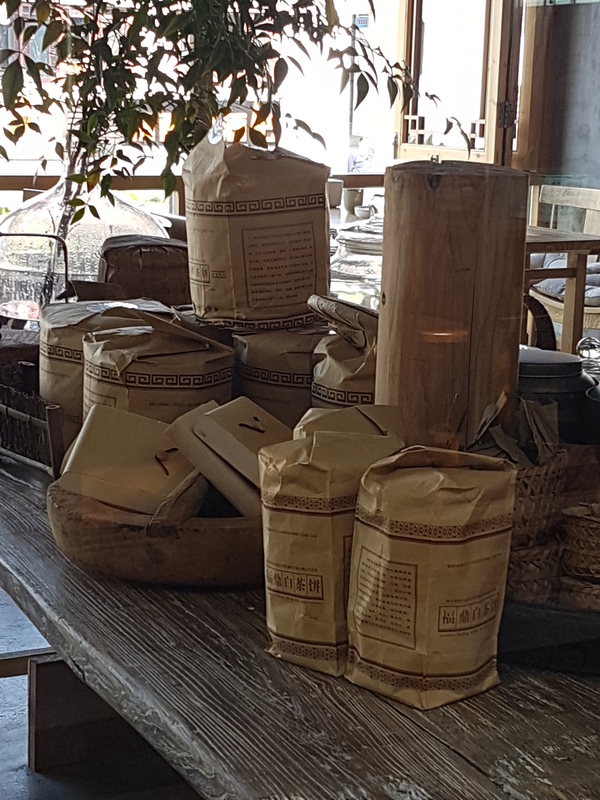 I was particularly impressed by the food – endlessly delicious shopping, snacking and feasting, and by the Wild Goose Pagodas – Big and Small. The best way to take Xi’an in, I think, is to consider it a highly evolved ancient town. Yes, there is a contraction here – ancient and recent. It seems that SanHe (Three Rivers) existed for a long time as an important regional center and river town on the plains of Anhui and I remember visiting it 6 years ago when it was small and a little barren. 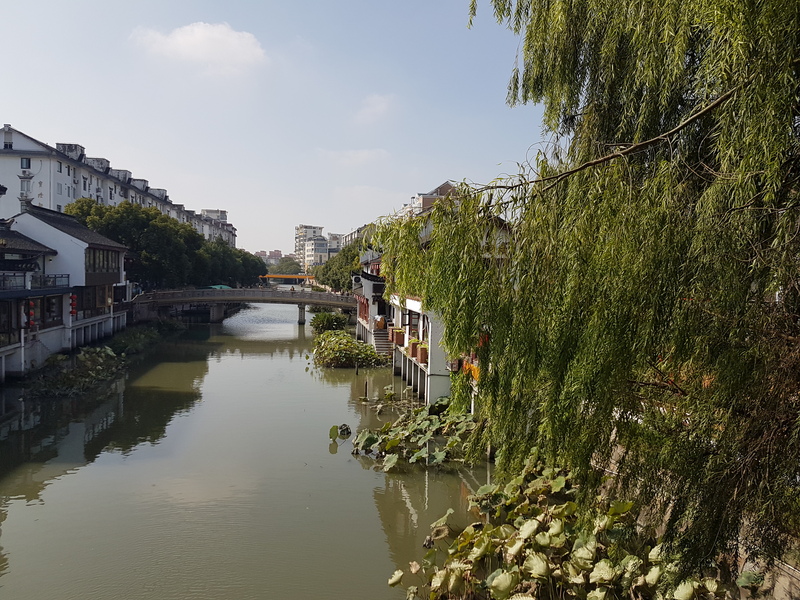 But each year it has grown with new “ancient” buildings and walls and bridges to become a tourist attraction associated with Hefei – my home in China– when I work seasonally at USTC. SanHe’s development makes it enticing because we always want to see “what’s new?” in Ancient SanHe. 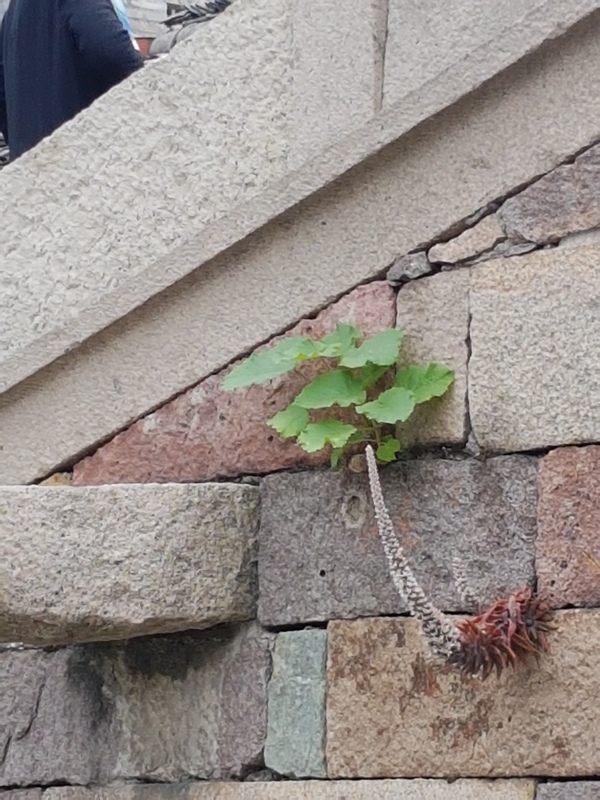 It is a lovely little town now, a balance of tourism and traditional village life, and this year we avoided the additions to focus on the village market. 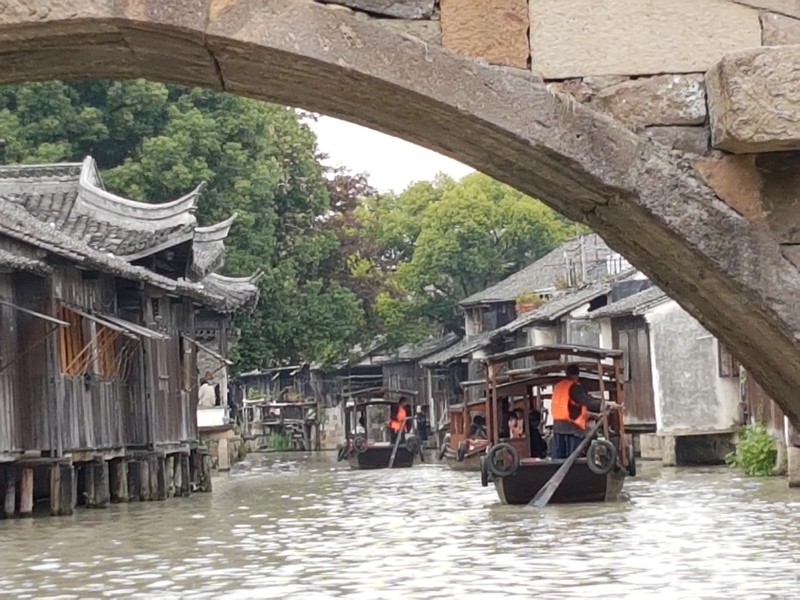 Wuzhen has a fabulous PR campaign – gorgeous images and photos that are, in my opinion, misleading. To be fair, Wuzhen had determined to become a conference center, and it is doing that very well. Amazing cultural events and conventions are held there, and people come from all over the world. So Wuzhen can handle all that, but I was disappointed. The part we saw was shabby and over-run. 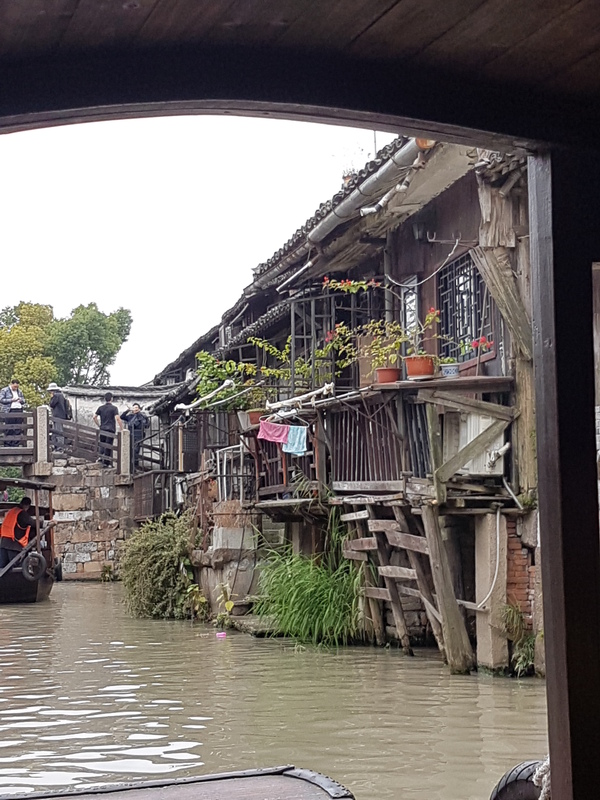 It was a grey day, and the absence of color in Wuzhen Water Town made it all the more depressing. But the local food specialties were really delicious: braised mutton, sauteed bamboo, stinky tofu. 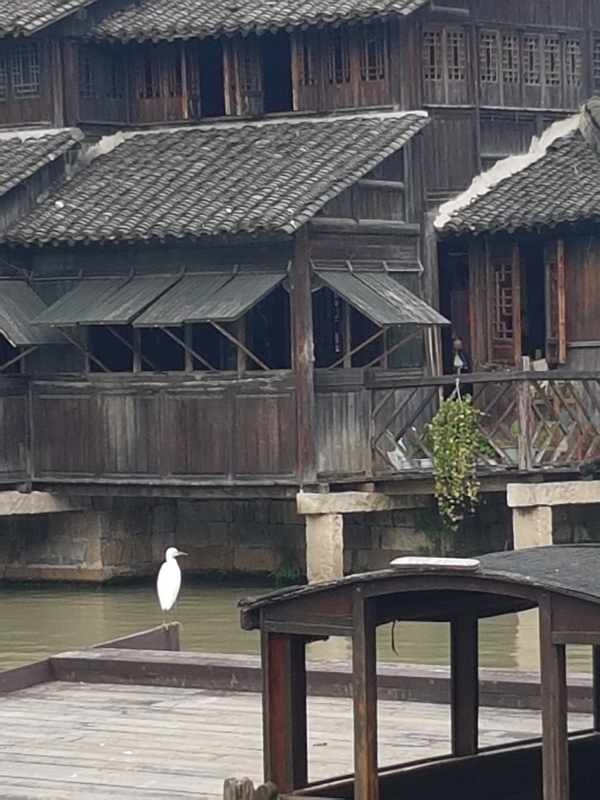 Maybe I need to revisit Wuzhen. As Shanghai grew, it absorbed countless towns along the canals that criss-cross the region surrounding it. 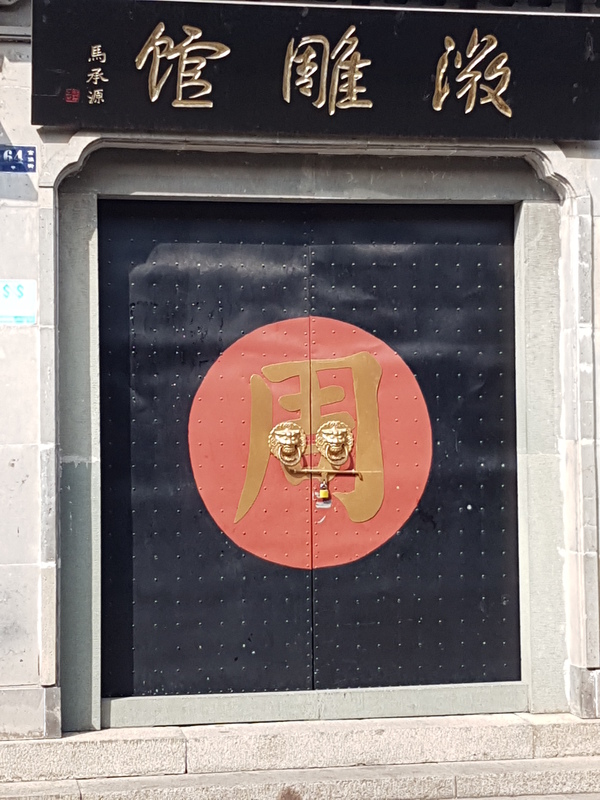 One that has survived intact is Qibao (Seven Treasures) – a tiny gem right in the heart of bustling Shanghai. Just a block from a massive MRT station, an ancient town unfolds along shopping streets and across a canal, a refreshing and surprising break from the mall and the city traffic all around it. The food options are spectacular, and I had my first mutton hotpot in Qibao. 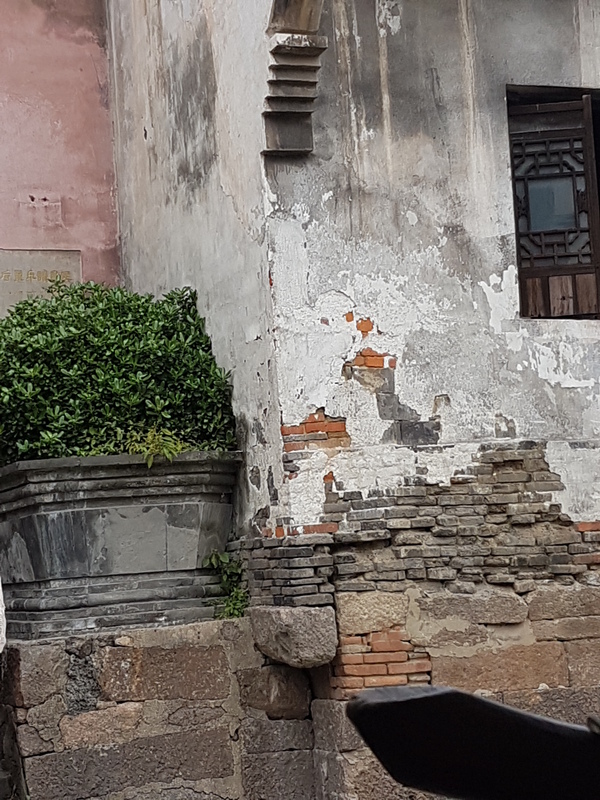 Dali Ancient Town has it all – a stern wall and prestigious gates, hectic shopping streets and quiet side streets, beautiful old buildings and modern services. Like Pingyao and Xi’an, it has fabulous attractions nearby – pagodas and temples. Unlike those cities, it has stellar mountain scapes as a backdrop and a pristine blue Yunnan sky. Dali is big and bodacious, welcoming and congenial at the same time. Exploring inside and around Dali Old town can take days, and I just didn’t have enough days in Dali. Next time! Xizhou Village in Yunnan is On the Edge for 2 reasons. It is a short drive from Dali Ancient Town, so on the edge of the glory and commerce of that major attraction. And it is on the edge of developing its own tourism industry in charming ways. 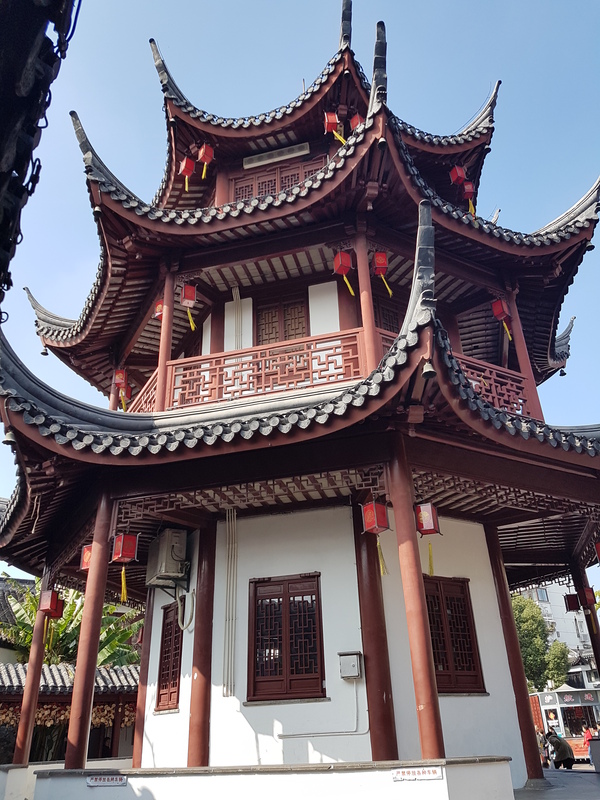 There were three things that really made Xizhou memorable for me: the beautiful blue tiled entrance gates, the practical shopping basket-backpacks, and the stellar red caskets waiting for centenarians. I have my name on one. Lijiang Ancient Town is spectacular. It is like a movie set for a Pearl Buck or Han Su Yin movie. It really requires several days to appreciate it, but I had one long afternoon. In the end, I was totally mesmerized, totally lost and totally overwhelmed by the allure of Lijiang. Not far outside bustling Lijiang city in remote Yunnan is a sweet little ancient town – Shuhe on the Tea Horse Road. Cars are not allowed inside the town, so it is easy to amble and watch the wedding couples staging photos. Shuhe is green and gracious, with gardens, pools and fresh mountain air. I declined a Rice Enema sausage there. Ciqikou Porcelain City is an ancient village inside Chongqing – built on the steep bank of the Yangzte River, originally on stilts to deal with seasonal floods. Now it is a maze of old wooden buildings with an amazing food street winding down down down the middle to a ledge high above the river. It is where tourists go to see Chongquing’s timeless ancient heart and endless food experiences. It may be an oxymoron to chill in Ciqikou while eating the world’s spiciest hotpots, but that’s what I do in Chongqing. I did not set out on a tour of ancient towns – it just unfolded for me. Some context: I travel solo, I am a female aged over 65, I speak only a tiny amount of Chinese, I am not afraid to ask for help, I am endlessly curious, I travel on a fairly tight budget, I go to China each year to teach “leadership theory and development ” to graduate students at USTC in Hefei, and I think I was Chinese in a previous lifetime. Here is my #kcbarker Chinadventure Planning System. 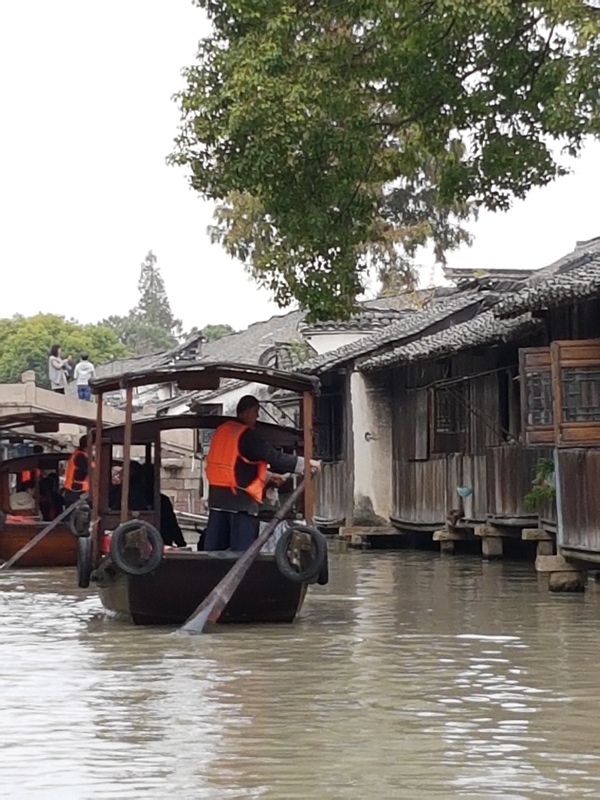 Ancient cities and water towns are everywhere in China. Wherever I am going, I research what is nearby – Shanghai has dozens on the outskirts, Beijing is famous for the hutongs inside the city, tourism in Yunnan and Fujian is centered on some spectacular ancient towns. I start with the usual resources: Lonely Planet and Google maps. To make the most of my time, I use Viator. First I check ALL the tours available in a place, like Xi’an or Kunming. I read them and make a list of the most common attractions and tours, the most intriguing, and anything with the word “traditional” or “ancient” in it. Then I look for a tour that includes most of the ones on my list. Many times I have made special requests when I couldn’t find the exact tour I wanted. Typically I book a day tour inside the city that includes some time in the featured ancient town – like Ciqikou in Chongqing. I can always go back if I want to see more. Typically I also book a day tour outside the city, to see the surrounding countryside and to see rural and remote villages – like Xizhou and Shuhe in Yunnan. 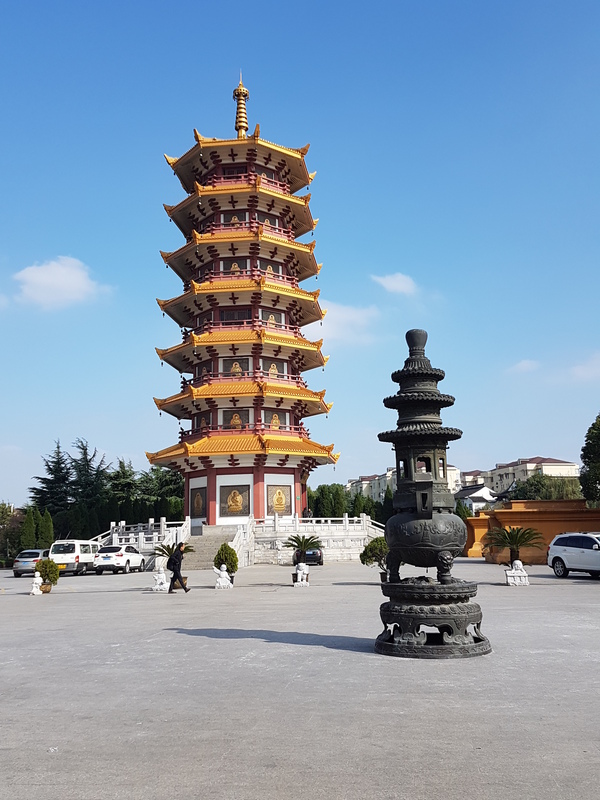 If I hadn’t done that, I would have missed MianShan near Pingyao, the Three Pagodas of Dali, and endless miles of ordinary Chinese farms and industries – all the day-to-day life in China. You cannot know China if all you see is the cities. Finally, I try very hard to include both a food excursion and a cultural event. Most places have foodies, like Lost Plate Food Tours in several cities, sharing local eating adventures; and many cities are now developing spectacular evening shows – like Pingyao Impressions that I write about in the Pingyao photoblog. It is such a delightful way to learn local history, priorities, and values. 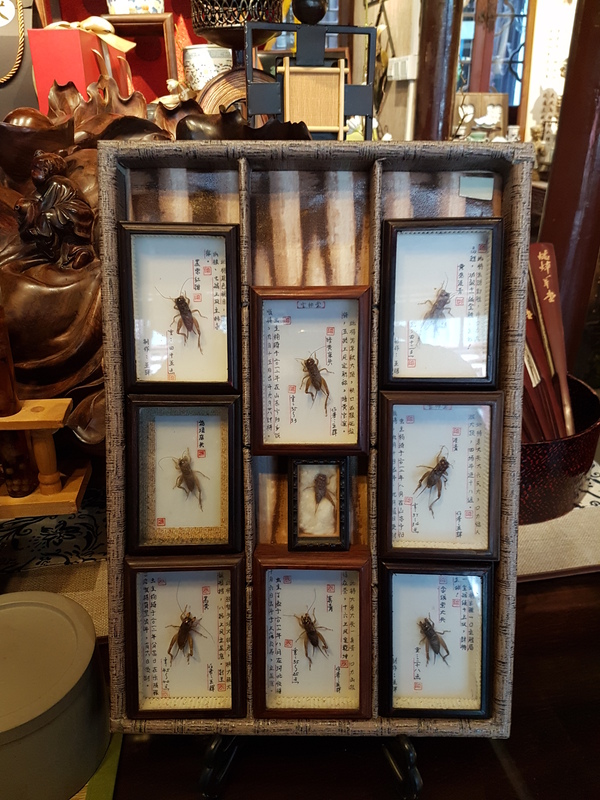 Much more moving than museums – but those are good too, especially for high-quality souvenirs in the museum gift shops. I book food and/or cultural events on the evening of my rest day. Again, I book through Viator because I have a car to transport me in the dark city night, and an interpreter to help me understand what I’m hearing. Brilliant! Always I book a private tour – with a talented and certified professional guide who speaks English, and who arrives with a clean, new car and a very safe driver. I have never had a worry! It is a little like booking a good friend for a day – we can chat life in China and Oman, we can alter the plans when I am tired, we can share delicious lunches at the places only they know, we can bypass long lineups and take shortcuts. Viator vets and chooses brilliant guides and reliable vehicles only! FYI, typically the lunch is not included in the tour price and I sometimes consider it a tip because we order a feast. But actual tips are also really appreciated. Sometimes I book the wrong things – like a stunning view of Kunming that required a climb of 900 steps. I thought there was a cable car – and there was, just for riding down only. One reason I use Viator is that I can change the plan when I discover my mistake. I should have admitted my limitations when I was booking because I had that option! Viator makes it so easy to just book, pay, and save itineraries to my phone. It is important to know the name, address and phone # of your hotel before you book because that is a necessary detail when booking. Look through the booking options and choices for the best prices. While it says you should print your voucher, I never did. It is critical to have your own internet access, be sure to download one or more VPNs before you leave home, and be sure to get a China SIM card at the airport when you arrive. It is an equally great idea to have a WeChat account because then you can communicate directly with your guide before, during and after your tour. My guides have become invaluable resources to me. Always, a day or so before my tour, a guide got in touch by either email or WeChat; and if I was in transit, I found a message waiting at my hotel. It is SO RELAXING when you have confidence in your plans. 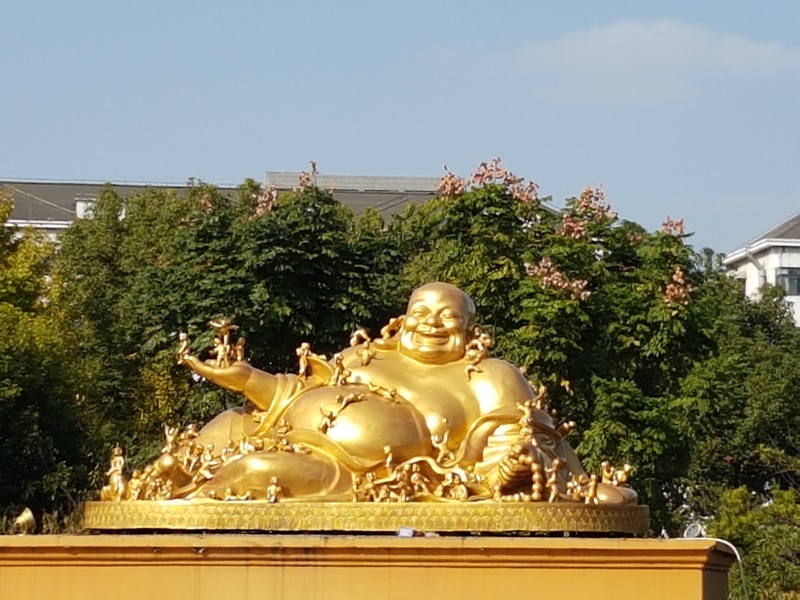 Train travel is usually how I get around in China, and I’ve shared my advice here: China at 300 kms/hr: Train Travel Tips so you Relax and Enjoy the View. Next year I will use the slower green trains and see more of the countryside; the highspeed trains can zip across mountainous China because of the miles and miles of tunnels. I can recommend the green express train from Shanghai to Tibet. Finally, a reminder to myself: good walking shoes and a camera backup. There is nothing sadder than missing great photo ops because a battery went dead. I see a lot and a lot in China because I plan a lot! I don’t do it all before I go, sometimes as I go because I build in flex time and I learn from new friends as I go. I am totally enchanted by China. See for yourself! This is a wonderfully informative article. Thank you so much. I will be in China in September and hope to hit a few of these. Great & really informative post. China is still on my list so I’m pinning for when I start planning. Thanks for sharing!